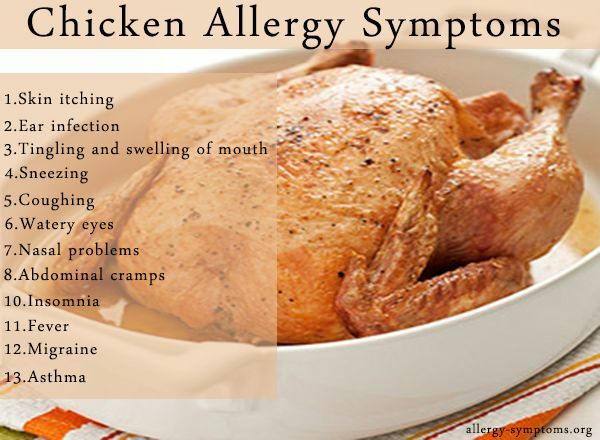 Allergic reactions to chicken meat are rare. They can affect both adults and children. They are most often seen in adolescents, though may begin around preschool age.An allergy to chicken meat may occur as a primary allergy (a true allergy), or as a secondary allergy caused by cross-reactivity with another allergy, such as an allergy to eggs, though this is rare.